Dual position Suede-Lined holster with additional slot on the back to allow for strongside or crossdraw carry. Thumb break standard. Available for most revolvers (closed bottom) and semi-autos (open bottom). Note: Holsters are CLOSED BOTTOM for revolvers and OPEN BOTTOM for semi autos unless stated otherwise in the individual product description. 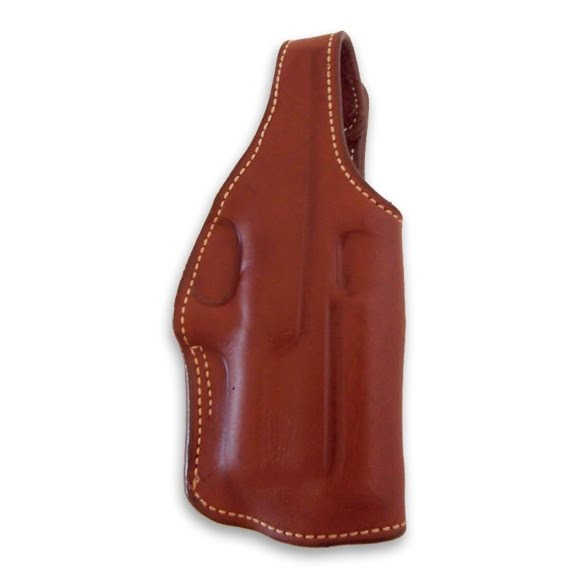 Dual position Suede-Lined holster with additional slot on the back to allow for strongside or crossdraw carry. Thumb break standard. Available for most revolvers (closed bottom) and semi-autos (open bottom). Note: Holsters are CLOSED BOTTOM for revolvers and OPEN BOTTOM for semi autos unless stated otherwise in the individual product description.